Posted: Tue Sep 27, 2011 6:06 pm Post subject: Re: The official never ending 'what's my next new gun' thread. Yours is that awesome .308 !! Did you schedule a vacation day to pick it up, or are you going to have to get it after work and then still wait . . . and wait . . . and wait to shoot it? 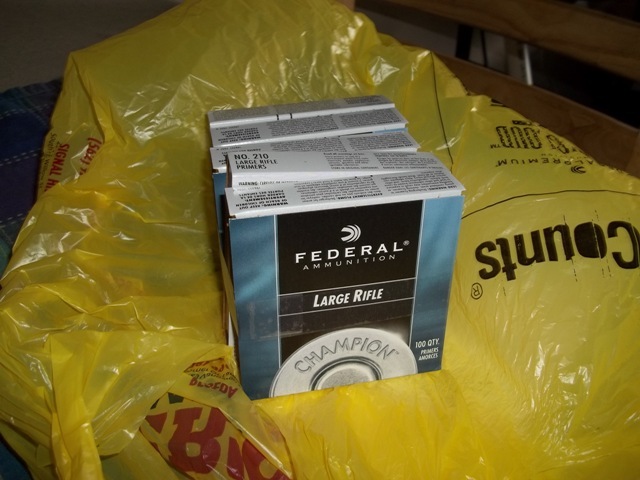 Posted: Wed Sep 28, 2011 8:09 am Post subject: Re: The official never ending 'what's my next new gun' thread. Yer on the right track mister! Pick it up Friday, break it in Monday- got the day off and the range all to meself w/ 3 boxes of Fed GMM 168gr...I can hardly wait! Posted: Thu Sep 29, 2011 12:49 pm Post subject: Re: The official never ending 'what's my next new gun' thread. Posted: Thu Sep 29, 2011 10:01 pm Post subject: Re: The official never ending 'what's my next new gun' thread. Bet ya he brings you no primers.........again !!! Posted: Fri Sep 30, 2011 9:25 am Post subject: Re: The official never ending 'what's my next new gun' thread. 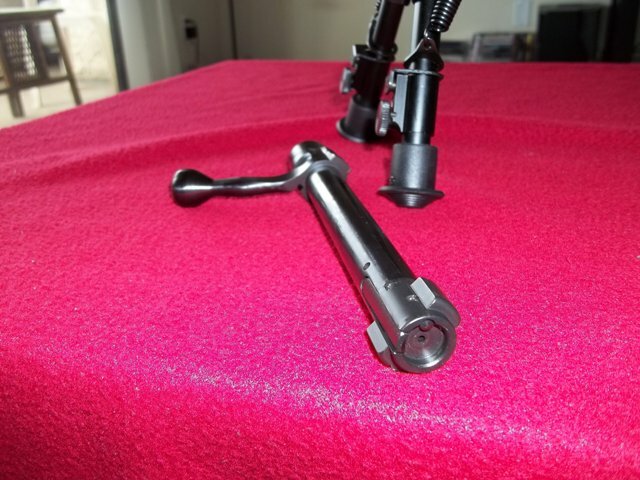 Ouch, your cold blooded chambered..
Posted: Fri Sep 30, 2011 9:28 am Post subject: Re: The official never ending 'what's my next new gun' thread. He's always crackin' my walnuts!!! Least my belt aint big enough ta strap a ferral hog to a hood with. Posted: Fri Sep 30, 2011 4:28 pm Post subject: Re: The official never ending 'what's my next new gun' thread. 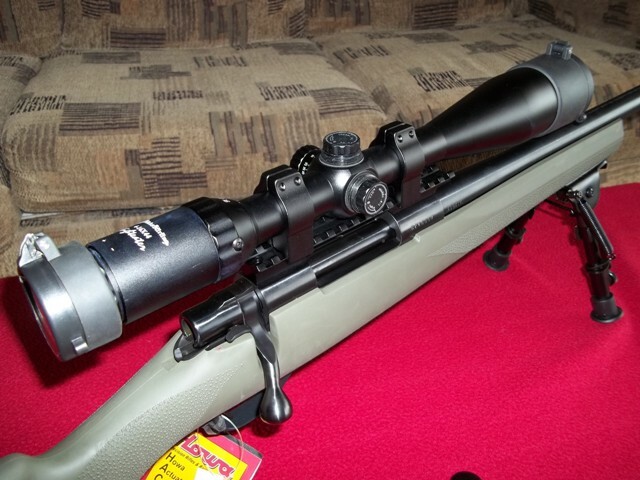 Ladie's and Gent's- I give you the latest addition to my humble collection- A Hogue/Howa 1500 short action w/ 20" Heavy Tube, in .308 Winchester, w/ a Nikko 4-16x 44 scope, came with flip-up's too! 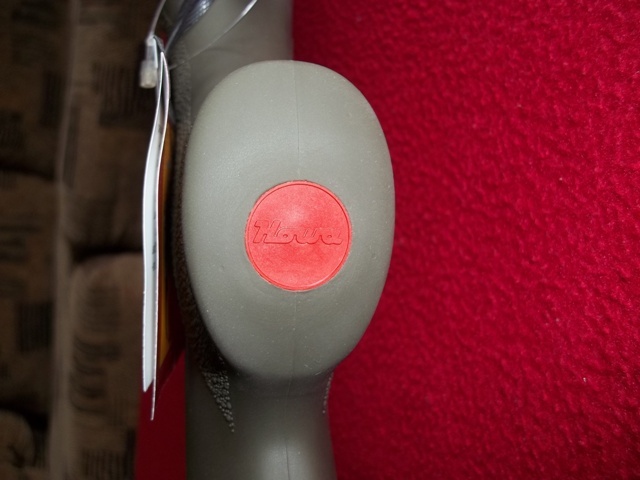 Tossed on a bipod I found in the shop viola! Ready for break-in. Here's what 570$ will get you....gonna be a good weekend fo sho. 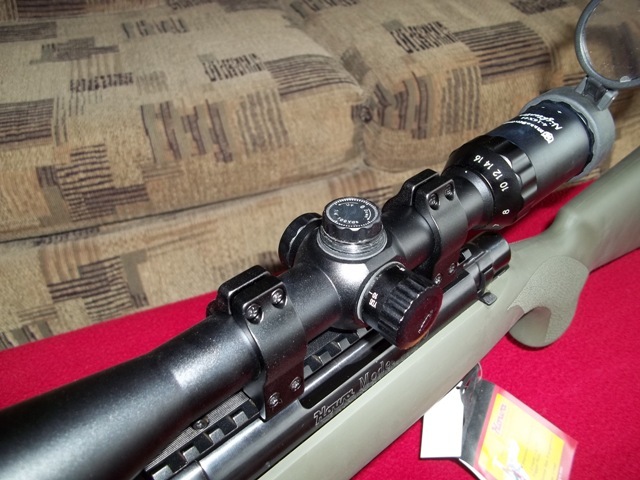 Trigger's sweet, bolt's gotta tear-drop handle, engraved floor plate, scope has a saddle parallax adjuster and tactical style turrets under the caps....wow. $570! I couldda bought a nekid Remy for a whole lot more but......I didn't! 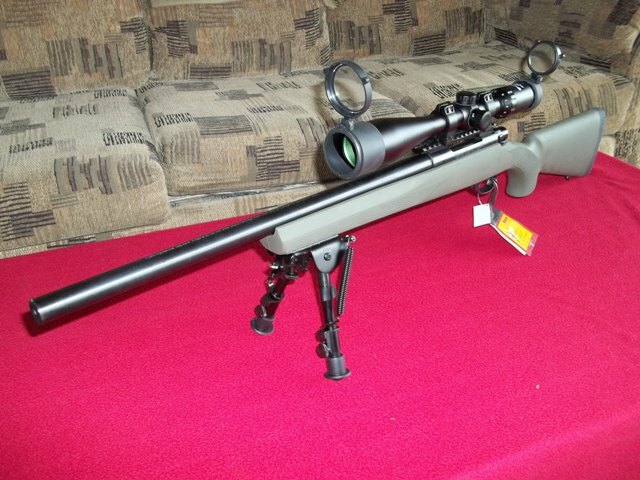 For the same price I gotta range ready gun with a bipod! 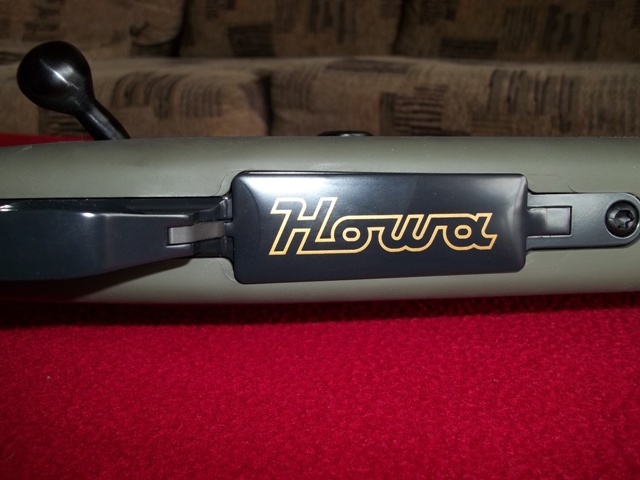 Howa rocks...I've always wanted a short fat tubed tacitcal sniper dealio and they were outta my price range, till now. Thanks Legacy! The glass is bright edged, bolts slick, trigger's sweet....oh man. I'm completely beside myself right now. What a hunny. Life is GOOD. Posted: Fri Sep 30, 2011 4:42 pm Post subject: Re: The official never ending 'what's my next new gun' thread. VERY nice buy. Stovey!!! You make me anxious for the day I start refilling my recently depleted gun cabinet. Posted: Fri Sep 30, 2011 4:52 pm Post subject: Re: The official never ending 'what's my next new gun' thread. I'll take somma that! Again! 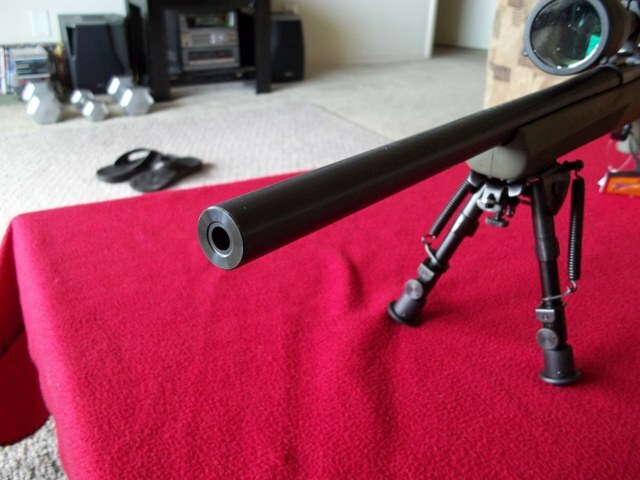 Looks like an awesome rifle Stovey, glad you got your primers too. Now load up a bunch and give us a report. Gotta check with my ol buddy Chamby first....according to him I'm doing my loads backwards! Posted: Fri Sep 30, 2011 6:15 pm Post subject: Re: The official never ending 'what's my next new gun' thread. Totally lookin' foward to ya gettin' yer dealios in order and restocking bud! Post 'em up when ya do!